11 People Overdose on Synthetic Drug 'Bizarro' in Downtown D.C.
Police and firefighters set up a mobile command center in downtown D.C. all Friday afternoon and evening after a mass overdose outside the city's largest homeless shelter on a type of synthetic marijuana. At least 11 people overdosed Friday on a drug known as bizarro, near the Community for Creative Non-Violence at 425 2nd St. NW, officials said. D.C. and Maryland officials have seen a sharp increase in overdoses from kinds of synthetic marijuana that use names including K2, spice, train wreck and bizarro, and officials say it is likely many overdoses have gone unreported. "Synthetic drugs are illegal and dangerous," said Mayor Muriel Bowser. "These drugs present a clear danger to the public. My Administration is committed to working with all relevant government agencies, residents, community organizations and the Council to crack down on the distribution and consumption of these dangerous synthetic drugs." 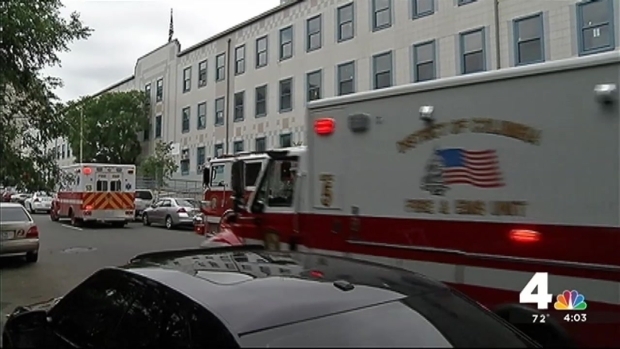 Mass Overdose on Synthetic Drug 'Bizarro' in Downtown D.C.
Nearly a dozen people overdosed on the synthetic marijuana known as bizarro on Friday at the Community for Creative Non-Violence at 425 2nd St. NW, officials said. NBC4's Jackie Bensen reports. The drug can cause aggressive behavior and hallucinations, similar to the effects of PCP. The Maryland Poison Center said users can suffer heart attacks and seizures. "They suspect that a large shipment of really strong drugs came in from New York City," homeless advocate Eric Sheptock said. 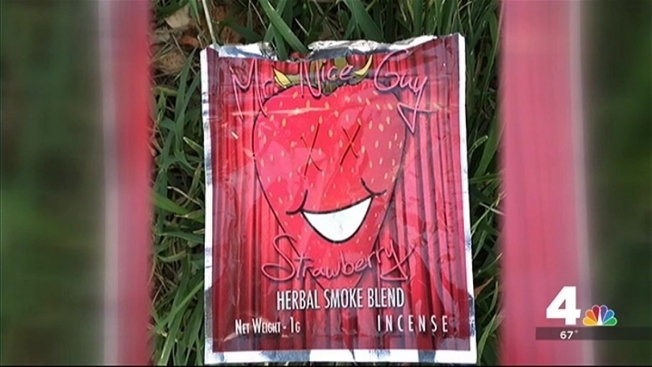 On the ground near the homeless shelter, News4 spotted a wrapper for strawberry-flavored synthetic marijuana with the brand name Mr. Nice Guy. About 70 percent of people who use the drug are thought to be teenagers, according to a study by the University of Maryland. D.C. officials normally average just one or two reported overdoses because of the drug each day. D.C. cracked down in April on convenience stores that illegally sell synthetic drugs. The attorney general's office filed complaints against half a dozen convenience stores in the Petworth neighborhood, as NBC4 reported. 9 Questions You Should Ask About the Drug "Molly"